In the meantime, I definitely want to read them all. I'm excited to see what everyone has come up with. I will do my best to put in the time to get my eyeballs on each submission. Good luck to those who have entered. And also some extra luck to those who are still working on theirs so they can get them finished in time! The amount of mental gymnastics required to justify the repercussions (or lack thereof) regarding the situation with Professor Hackle and the Metallikats that the show has always asked of its viewers always stuck out to me as some kind of borderline lunacy, particularly as the show wasn’t content to just let Hackle disappear after one episode. Fortunately, you’ve taken that hand wave and used it as a very thoughtful means to further build the world that Megakat City resides in, craftily creating depth from something shallow. Regarding Hackle, you’ve taken surface-level traits and used those to create a complex and conflicted character whose actions and intentions, while still ambiguous, don’t seem so out-of-place. 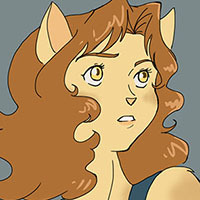 Though, the most interesting part of this story is its central character, Commander Feral. Being able to step inside that internal conflict and see things unfold from his perspective as he travels from beginning-to-end to arrive at his ultimate decision/actions was a great narrative device. I’m not entirely sure if I personally think his level of patience and contemplativeness regarding this incident would have played out this way…but because of the backstory and greater implications you inserted I think it works perfectly in this story. I know that some might point out what would be considered to be “holes” about what appear to be HUGE gaps in criminal/procedural oversight and the likelihood of secrets being able to be kept…but after some thought, in a world where giant robots are developed in secret, stolen, destroy a large portion of the city, and the company in question also escapes culpability… those “holes” seems more like expected elements of a broken world (one that shares a few parallels with our own, as this story doesn’t shy away from alluding). “She was wearing heels, Commander. And prison uniforms are either black and white striped, or solid orange.” Hackle pointed out. Except for Alkatraz...which uses gray only, Feral recalled bitterly. Another oversight to correct. …they washed up on shore and Feral immediately said “they were in prison uniforms,”… how would he know that? While it may be a little macabre to think about, bodies lost at sea and the clothing worn by them don’t always survive fully intact. Maybe something along the lines of their clothing being too damaged for Hackle to recognize immediately… maybe not seeing a MADE IN PRISON tag on the tatters of their clothes until after the procedure was completed….or even something really bold like him not caring they were prisoners and doing the procedure anyway, because he was a prisoner once himself (though I realize this last one would change the overall tone probably a bit too much…and would also make Feral’s decision not to pursue prosecution probably too big of a leap). But otherwise, that’s a minor thing, and entirely subjective. The rest of the story quickly and more than adequately moves past that. The tone is a fun one, not unlike a police procedural, and is a lot more reserved and contemplative than a lot of works related to SWAT Kats. And, the real world allusions are a nice touch. Hackle’s Von Braun/Oppenheimer-esque elements (though with a much different childhood), along with the historical parallels of the post-WWII space race / Cold War era arms race were good inferences, and I think were present just enough to aid in the reader’s immersion while never straying too far into something tasteless or inappropriate. It was a great read, and if I may say, it'd make for a good "missing scene" from your ongoing series. One of the major problems of an episodic format is that everything has to wrap up in 23 minutes, the status quo must immediately be regained, and nothing ever really changes. 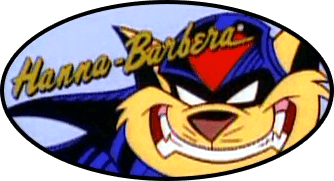 Short of bringing in Felina, who acts as a tempering agent between Feral and the SWAT Kats, and the Turbokat Mark II with Speed of Heat/Sub-Orbital Boosters, very little about the setting and the characters ever changes in the course of the show. The problem with that is that it boggles the mind when major situations occur and then everything is hunky-dory in the next episode...before the next thing goes wrong. No explanation, however well thought out, will ever satisfy everyone in regards to the incidents like we had in Metal Urgency. Working within the confines of the show itself, "Closing Report" was my best educated hypothesis as to how Megakat City recovers from an incident like the Macrobot attack...and also why nothing really changes as a result of it. The show itself DEMANDS the status quo be regained. My answer, thus, had to match up to fit within the existing schema. When reaching for an answer to Hackle's willingness to turn a couple of convicts into robots, I did actually reach out to Koosh for screenshot analysis. In the back of my mind, I had thought she was wearing heels. Once he found the evidence of it, I knew I was solid. If there's blame to be had here, it's in the show's original animation and script-writing. When given a rotting tomato, sometimes you can't even make a decent batch of spaghetti sauce. You are correct that this may tie into my other stuff; It's no secret I love Professor Hackle as a tertiary character. That being said, this piece can stand alone as an independent story, and it should be taken as such. 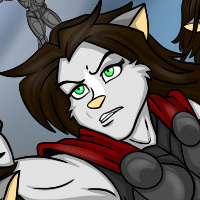 For as much as I try to answer about Hackle, you are absolutely correct that Commander Feral's thought process takes center stage in this story. The only reason he levels no charges is that he cannot; to do so would be to tempt even worse trouble down the line. He is experienced, or jaded enough, to know how to read the tea leaves. Sometimes, for the good of the majority, we must make decisions that we find personally unpalatable. Being guided by one's morality is what we strive for; the reality of governing over the past century stands in stark contrast to that goal. And are we better for it, or worse off? It could be said that we make up the bulk of our own troubles. We can only pray that the troubles we cause die with us, so our descendants do not have to live with the consequences. In related news, the contest participant award reached me today. Thanks! EricoBard wrote: In related news, the contest participant award reached me today. Thanks! I liked your story a lot Erico. It looks like a very good attempt to flesh out Dr. Hackle's character. It is heartfelt and one can't help but feel bad for the guy. One is reminded about the issues with Frankenstein's monster. If you create a monster and it destroys things, how much of the responsibility is your own? In your story you mentioned that the technology used to create the Metallikats could get stolen. Here's a question worth pondering - what do you suppose Pumadyne spends on security versus research and development? Any possibility they might have to pay substantially more on security? Mikazo wrote: Chance and Jake catch a documentary that gives some clues as to the origin of their underground hangar. Coincidentally, Dark Kat happens upon the same information. ...and arguably feels a little bit incomplete as there's a bit of an abrupt end, I really liked the premise for how the hangar came to be, but more importantly how that plays into Dark Kat's discovery and involvement. It's a great setup for getting our heroes into trouble. I also appreciated the humorous tone in this one. Several of the little asides made me laugh. Reminds me of the writing style a lot of authors associated with Strike's RPG would use in their comedic tales. Thanks for posting it and for the feedback! This is not a serious story, and definitely not a magnum opus. I have certainly written better! I just wanted to throw something into the hat. However I get that it is kind of short though. Is it too late to add onto it? I may be able to, time permitting. LadyStormcrow wrote: I'm so, so happy you like my story, MoDaD. It was a lot of fun imagining how to tie everything together, and include things from canon where I could. Very nice job on the story. You have a really good writing style and I thought you brought out the Pastmaster's character very well. I very much doubt, given how easily thugs like the Metallikats and Hard Drive run ramshod through their defenses to get to the tech they're after, that Pumadyne (Or Puma-Dyne, as Koosh insists, but I've gone too long not hyphenating it to start,) has anything more substantial than armed guards. In comparison, the Enforcers Research Center we see in Night of the Dark Kat is staffed by actual Enforcer troops; this might be because that facility contained not only schematics for future upgrades, but also sensitive operations data and intelligence reports. But that's just a handwaved hypothesis, so take my perspective with a grain of salt. In "Transitions", I have it set up so that Pumadyne facilities keep the Enforcers on speed dial when trouble hits, but that they don't actually have any Enforcers staff on site. Of course, this is to their benefit, if you believe as I do, that Pumadyne might be playing both sides of the fence. That they might be developing projects not just for the protection and benefit of Megakat City, but for other city-states/nations...including some that might rightly be considered rivals or enemies. Because at the end of the day, Pumadyne is a part of that world's military industrial complex, but it is still a private company. And companies only care about making money. This would be much harder if Pumadyne had anything resembling 'oversight' by Enforcers personnel. Sent in my entry, and I thank the Academy for your consideration.